RICE LAKE, WI (August 15 – Stormy Scott led all 40 laps Thursday night at Rice Lake Speedway and scored his second main event during the Hunt for the USMTS Casey's Cup. The 2012 USMTS Rookie of the Year drew the pole position for the start of the race, and that was the closest the rest of the field ever got. "After the heat, we thought we would be pretty good with the setup we had," Scott explained after the win. "I knew we were going to run the low line and anybody who wanted to pass us would have to do it on the outside." But nobody got close enough to try. Rodney Sanders started next to Scott on the front row and chased him throughout the race, but was never able to challenge-even when heavy lapped traffic surrounded the leader. "I just focused on hitting my lines," Scott added. "I kept looking at the scoreboard and seeing Rodney's number, so I figured he was all over me back there." Scott's advantage at the finish line was just under three seconds. The win was worth $5,000 with his Big Dog Buy-In and it was the 18th win of his career, breaking a tie with Sanders for tenth on the all-time wins list. Craig Thatcher was a close third while Jason Krohn earned the Mesilla Valley Transportation Hard Charger Award by racing from 13 to fourth in the feature. Jeremy Payne finished fifth with Jon Tesch, Joey Jensen, Jason Hughes, Johnny Scott and Ryan Gustin rounding out the top 10 finishers. Stormy Scott cut into his twin brother's points lead, and trails by just 17 points after the sixth of 17 races comprising the Hunt for the USMTS Casey's Cup. Sanders is third, followed by Hughes, Payne, Zack VanderBeek, Chris Brown, Kelly Shryock, Dereck Ramirez and Trevor Hunt. 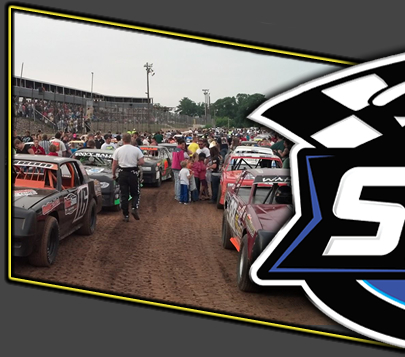 To learn more about the United States Modified Touring Series, visit www.usmts.comonline or call 515-832-7944. You can also like us on Facebook at www.facebook.com/usmts, follow us on Twitter at www.twitter.com/usmtsor check out our YouTube channel at www.youtube.com/usmtstv. 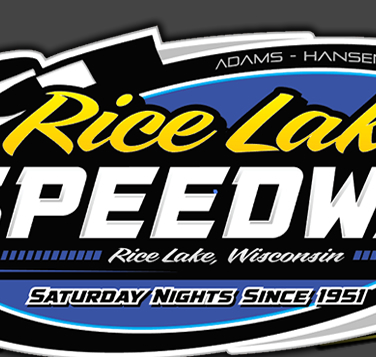 Rice Lake Speedway, Rice Lake, Wis. Showing finishing position, starting position in parentheses, car number, driver, hometown, chassis/engine builder, laps completed and money won. The top 12 drivers in passing points accumulated in the heat races are locked into the "A" Main, with the top 8 re-drawing for starting positions 1-8. 1. (2) 91 Craig Thatcher, Knapp, Wis.
2. (6) 186 Jeremy Payne, Springfield, Mo. 3. (3) 19r Ryan Gustin, Marshalltown, Iowa. 4. (5) 7k Jason Krohn, Slayton, Minn.
5. (8) 1st Johnny Scott, Las Cruces, N.M.
6. (1) 110 Chad Mahder (R), Eau Claire, Wis.
7. (4) 57 Mike Anderson (R), Colfax, Wis.
8. (7) 33z Zack VanderBeek, New Sharon, Iowa. 9. (9) 99h Trevor Hunt (R), Kearney, Mo. 1. (2) 21 Chris Brown, Spring, Texas. 3. (4) 3 Kelly Shryock, Fertile, Iowa. 4. (8) 01 Joey Galloway (R), Manor, Sask., Canada. 5. (3) 22d Daniel Hilsabeck, Adel, Iowa. 6. (5) 5* Casey Penn, Shreveport, La. 7. (1) 00 Masen Big Eagle (R), Manor, Sask., Canada. 8. (6) 69 Lucas Schott, Chatfield, Minn.
1. (5) 20 Rodney Sanders, Happy, Texas. 2. (4) 10 Mike Steensma, Luverne, Minn.
3. (1) 33x Adam Hensel, Baldwin, Wis.
4. (7) 40 Kevin Adams, Cameron, Wis.
5. (8) 12 Jason Hughes, Watts, Okla.
6. (6) 49 Bob Timm, Winona, Minn.
7. (3) 4 Bill Byholm (R), Glidden, Wis.
8. (2) 89 Steve Whiteaker Jr., Corpus Christi, Texas. 1. (1) 31 Corey Dripps, Waterloo, Iowa. 2. (2) 12 Jason Gross (R), Osceola, Wis.
3. (3) 11 Lance Hofer, Cochrane, Wis.
4. (5) 54 Jeremy Houle (R), Ham Lake, Minn.
6. (6) 99 Josh Angst, Winona, Minn.
7. (8) 4r Dereck Ramirez, Woodward, Okla.
8. (7) 14w Clayton Wagamon, Blaine, Minn.
1. (4) V2 Joey Jensen, Forest Lake, Minn.
2. (2) 14 Jon Tesch, Watertown, S.D. 3. (3) 89 Eric Pember, Pittsville, Wis.
4. (8) 30 Matt Leer, Bruce, Wis.
5. (5) 7 Ron Jones, Princeton, Minn.
6. (1) 24jr Jeff Lien Jr. (R), Mora, Minn.
7. (7) 11x Rich Lofthus, Bloomer, Wis.
8. (6) 12m Jason Miller, Osceola, Wis.
1. (4) 7k Jason Krohn, Slayton, Minn.
2. (2) 19r Ryan Gustin, Marshalltown, Iowa. 3. (5) 1st Johnny Scott, Las Cruces, N.M.
4. (1) 3 Kelly Shryock, Fertile, Iowa. 5. (3) 11 Lance Hofer, Cochrane, Wis.
6. (10) 4r Dereck Ramirez, Woodward, Okla.
7. (13) 69 Lucas Schott, Chatfield, Minn.
8. (11) 00 Masen Big Eagle (R), Manor, Sask., Canada, GRT/Tim's, $200. 9. (12) 11x Rich Lofthus, Bloomer, Wis., Hughes/Tim's, $80. 10. (15) 99h Trevor Hunt (R), Kearney, Mo., GRT/Geddes, $500. 11. (14) 14w Clayton Wagamon, Blaine, Minn., Wheeler/Wagamon, $100. 12. (7) 7 Ron Jones, Princeton, Minn., MBCustom/Sput's, $100. 13. (9) 99 Josh Angst, Winona, Minn., Skyrocket/Sput's, $100. 14. (8) 5* Casey Penn, Shreveport, La., Hughes/Mullins, $100. 15. (6) 22d Daniel Hilsabeck, Adel, Iowa, Hughes/Mullins, $100. 1. (1) 40 Kevin Adams, Cameron, Wis.
2. (5) 12 Jason Hughes, Watts, Okla.
3. (8) 49 Bob Timm, Winona, Minn.
4. (3) 89 Eric Pember, Pittsville, Wis.
5. (9) 24jr Jeff Lien Jr. (R), Mora, Minn.
6. (7) 110 Chad Mahder (R), Eau Claire, Wis.
7. (6) 72 Doug Hillson, Blooming Prairie, Minn., Skyrocket/Sput's, $100. 8. (12) 33z Zack VanderBeek, New Sharon, Iowa. 9. (10) 57 Mike Anderson (R), Colfax, Wis., SSR/MAS, $100. 10. (11) 4 Bill Byholm (R), Glidden, Wis., MBCustom/Koch, $100. 11. (13) 89 Steve Whiteaker Jr., Corpus Christi, Texas, Hughes/Mullins, $100. 12. (4) 54 Jeremy Houle (R), Ham Lake, Minn., MBCustom/Speedwerx, $100. 13. (2) 33x Adam Hensel, Baldwin, Wis., Rocket/Malcuit, $100. DNS - 12m Jason Miller, Osceola, Wis., Matrix/Power+, $80. 1. (1) 2s Stormy Scott, Las Cruces, N.M., GRT/ProPower, 40, $3000. 2. (2) 20 Rodney Sanders, Happy, Texas, MBCustom/Geddes, 40, $2000. 3. (3) 91 Craig Thatcher, Knapp, Wis., GRT/TriStar, 40, $1500. 4. (13) 7k Jason Krohn, Slayton, Minn., MBCustom/Sput's, 40, $1100. 5. (8) 186 Jeremy Payne, Springfield, Mo., GRT/RoushYates, 40, $900. 6. (10) 14 Jon Tesch, Watertown, S.D., GRT/Sput's, 40, $800. 7. (5) V2 Joey Jensen, Forest Lake, Minn., GRT/Tim's, 40, $700. 8. (16) 12 Jason Hughes, Watts, Okla., Hughes/Mullins, 40, $750. 9. (17) 1st Johnny Scott, Las Cruces, N.M., GRT/ProPower, 40, $700. 10. (15) 19r Ryan Gustin, Marshalltown, Iowa, Hughes/Mullins, 40, $550. 11. (7) 10 Mike Steensma, Luverne, Minn., MBCustom/Sput's, 40, $500. 12. (12) 30 Matt Leer, Bruce, Wis., Shaw/Adams, 40, $350. 13. (4) 21 Chris Brown, Spring, Texas, Hughes/Mullins, 40, $425. 14. (9) 12 Jason Gross (R), Osceola, Wis., BeakBuilt/Adams, 40, $400. 15. (14) 40 Kevin Adams, Cameron, Wis., Shaw/Adams, 40, $375. 16. (20) 89 Eric Pember, Pittsville, Wis., Hughes/Mullins, 40, $350. 17. (19) 3 Kelly Shryock, Fertile, Iowa, Skyrocket/ProPower, 40, $500. 18. (21) 11 Lance Hofer, Cochrane, Wis., GRT/BK's, 40, $300. 19. (24) 110 Chad Mahder (R), Eau Claire, Wis., GRT/Anderson, 39, $300. 20. (6) 31 Corey Dripps, Waterloo, Iowa, Rage/RoushYates, 39, $300. 21. (25) 33z Zack VanderBeek, New Sharon, Iowa, Hughes/Sput's, 39, $500. 22. (26) 69 Lucas Schott, Chatfield, Minn., Hughes/Sput's, 39, $300. 23. (18) 49 Bob Timm, Winona, Minn., GRT/BuckBuilt, 39, $300. 24. (22) 24jr Jeff Lien Jr. (R), Mora, Minn., Matrix/Sput's, 39, $300. 25. (11) 01 Joey Galloway (R), Manor, Sask., Canada, GRT/Tim's, 39, $400. 26. (23) 4r Dereck Ramirez, Woodward, Okla., Hughes/ProPower, 39, $400. Lap Leader: S. Scott 1-40. Total Laps Led: S. Scott 40. Margin of Victory: 2.904 seconds. Mesilla Valley Transportation Hard Charger: Krohn (started 13th, finished 4th). 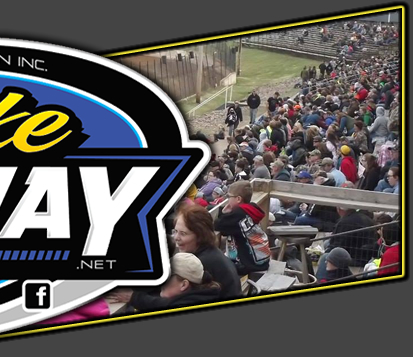 Next Race: Friday, Aug. 16, Mississippi Thunder Speedway, Fountain City, Wis. Points Standings: J. Scott 619, S. Scott 597, Sanders 582, Hughes 569, Payne 520, VanderBeek 497, Brown 493, Shryock 483, Ramirez 441, Hunt 429. Rookie of the Year Points: Hunt 1630, Galloway 1535, Big Eagle 1235, Jeff Conner 855, Adam Penn 598. COMP Cams Engine Builder of the Year Points: ProPower 339, RoushYates 300, Mullins 297, Geddes 288, Sput's 274. Tiger Rear Ends Manufacturers Championship Points: Hughes 367, GRT 346, MBCustom 314, Skyrocket 249, LG2 214. AERO Race Wheels - Ramirez. Beyea Custom Headers - Thatcher. BSB Manufacturing - Payne, Jensen. Buck Monson Photos - S. Scott. Crane Cams - S. Scott. Dominator Race Products - Dripps. FK Rod Ends - Adams. GRT Race Cars - S. Scott. KEVKO Oil Pans & Components - J. Scott. Marsh Racing Wheels - Galloway. Mesilla Valley Transportation - Krohn. MSD Ignition - S. Scott, Sanders. PBM Performance Products - Dripps, S. Scott. Power Lift Racing Products - Shryock. VP Racing Fuels - S. Scott.